All the marriages have their own purposes. The most important purpose is to perpetuate the lineage. The other purposes are possibly social, economic and political. In the following pages I am going to talk about political marriages in the Vietnam history. My Chau and Chao Zhong-shui's marriage was not only a political marriage but also an international and inter-racial one. Chao Zhong-shui was Chao To's son. He was from Nan Hai, i.e. present Guangdong while My Chau was daughter of An Duong Vuong, king of Au Lac. This marriage was purely political for it came from Chao To's political scheme aiming at turning his son into a spy keeping his eyes on the magic arbalest which turned his invasion of Au Lac cloudy. King An Duong Vuong hoped this alliance by marriage with the Chao re-­established peace between Au Lac and Nan Hai. In the attempt to invade Au Lac, Chao To ordered his son to spy on the magic arbalest and military potential of Au Lac. In 207 B.C. he succeeded in defeating king An Duong Vuong. My Chau was killed by her father, king An Duong Vuong, for letting Chao Zhong-shui know the secret weapon of Au Lac. King An Duong Vuong killed himself by jumping into the sea. Chao Zhong-shui killed himself by jumping into a well after he found My Chau's body. The end of this political marriage was tragic. Trieu Quang Phuc was a brilliant general serving king Ly Nam De born Ly Bon. Defeated by the Chinese troops under general Chen Pa-sien, king Ly Nam De gave the military command to Trieu Quang Phuc. As for the king, he had a hidden life at the Khuat Lieu cave where he died in 548. Learning of Ly Nam De's death, Trieu Quang Phuc proclaimed himself king Trieu Viet Vuong. He led the anti-Leang resistance in Da Trach, a swampy area in Hung Yen province. The resistance was difficult due to food shortage. The final victory belonged to Trieu Quang Phuc when he took control of Long Bien (1). At that time the Leang was busy with the revolt led by Hao Jin in China. A dispute of power erupted between Trieu Quang Phuc and Ly Nam De's descendants. In remembrance of Ly Nam De, king Trieu Viet Vuong conceded some lands to Ly Phat Tu and married his daughter Cao Nuong to Nha Lang, Ly Phat Tu's son. Generals Truong Hat and Truong Hong protested the land concession and the union between Cao Nuong and Nha Lang. They realized that power and territory are indivisible. King Trieu Viet Vuong carried out his line in the hope of bringing peace to both sides by using the alliance by marriage with Ly Phat Tu. Lacking vigilance king Trieu Viet Vuong was defeated by Ly Phat Tu. He killed himself by jumping into the Dai Nha River, Nam Dinh province. This story was similar to that of king An Duong Vuong, who was given a toe nail by Than Kim Qui (Gold Turtle God). It was said that Trieu Quang Phuc was invincible thanks to the toe nail given by Chu Dong Tu. Cao Nuong and Nha Lang remind us of My Chau and Chao Zhong-shui. King An Duong Vuong's death was similar to that of king Trieu Viet Vuong. The former jumped into the sea. The latter jumped into the river. These two political marriages teach us political vigilance for politics never respects any ethical rules. Sometimes it shows itself inhuman and heartless. Prince Sam fled to Hai Ap, Luu Gia village (Luu Xa), Nam Dinh province, when Quach Boc took control of Thang Long in 1208. Tran Ly sheltered him. Tran Ly had a beautiful daughter. Prince Sam fell in love with her, and married her. Tran Ly was a rich fisherman in Nam Dinh. He recruited militia to expel Quach Boc's troops from the capital. The royal army was incapable of containing Quach Boc's troops. King Ly Cao Ton fled to the North while prince Sam fled to the coastal area. In 1211 prince Sam was enthroned. It was king Ly Hue Ton. Tran Ly's daughter became queen. Tran Ly was killed by the pirates before the enthronement of prince Sam. An uncle of queen Tran was granted the nobility title by the king. Tran Ly's son, Tran Tu Khanh, commanded the army. Another son of Tran Ly, Tan Thua, was chancellor. A cousin of queen Tran, Tran Thu Do, was Generalissimo. Scared of the entourage of Tran in the capital the queen mother pressured king Ly Hue Ton to divorce queen Tran. The king refused without knowing that he was surrounded by the members of the Tran.The king was an alcoholic addict. He had mental health problems. He had no son but two daughters. Queen Tran committed adultery with her cousin Tran Thu Do. These were the signs of the collapse of the Ly dynasty. Tran Canh was son of Tran Thua and grand son of Tran Ly. Princess Chieu Thanh born Phat Kim was daughter of king Ly Hue Ton and queen Tran, who was daughter of Tran Ly. In 1224 king Ly Hue Ton resigned. Chieu Thanh was enthroned at the age of 7. It was queen Ly Chieu Hoang (1224- 1225). Tran Thu Do committed adultery with queen Tran. He let Tran Canh marry Ly Chieu Hoang when both of them were 7 years of age. It was a purely political marriage marking a bloodless and unarmed coup d' état aiming at a smooth transfer of kingship from the Ly to the Tran. The Tran dynasty had no founder. Tran Canh was the first king of the Tran at the age of 8 (1225). His reign title was Tran Thai Ton. Tran Thu Do manoeuvred usurpation. He was the true architect of the Tran dynasty. He strengthened it by using any cruel and immoral means. The strange thing was that he did not think of the throne. It was his strong point which was an exception in political life. Princess Huyen Tran was daughter of king Tran Nhan Ton. After resignation Tran Nhan Ton became thai thuong hoang (king's father, who had real power to solve national affairs). During a visit to Champa Tran Nhan Ton promised to marry princess Huyen Tran to the Cham king, Jaya Simhavarman III (Che Man). The king of Champa offered O and Ri districts (present Quang Tri and Thua Thien) as wedding gifts. From 1306 on these areas belonged to Dai Viet. Huyen Tran became queen Paramecvari. The next year king Jaya Simhavarman III died and was cremated. According to the Cham custom, the queen must be burned at the stake. King Tran Anh Ton, Huyen Tran's brother, sent general Tran Khac Chung to Vijaya (Qui Nhon) to express his condolence to the Cham kingdom, and to saved Huyen Tran from the stake. Tran Khac Chung accomplished his mission perfectly. Huyen Tran was saved and returned safely to Thanh Long. The cinnamon tree in the heart of the forest. The O and Ri districts are some thousand miles long. How much is Huyen Tran worth? A rumor circulated that Huyen Tran's complexion was dark. In Sino-Vietnamese huyen means `black'. Was it the reason to justify the then political line of the Tran? Is washed in muddy water and cooked with the straw flame. Le Quy Ly had two aunts, who were concubines of king Tran Minh Ton. One of them was mother of king Tran Nghe Ton (1370- 1372). The other was mother of king Tran Due Ton (1372- 1377). One cousin of Le Quy Ly was queen under the reign of Tran Due Ton. These details showed why Le Quy Ly played an important role in the late 14 th century in Thang Long. When his position was well consolidated he thought of usurpation. Le Quy Ly's abuse of power scared Tran Nguyen Dan, a courtier and member of the royal family. On the one side he resigned to show his passive hostility to Le Quy Ly. On the other side he made alliance by marriage with Le Quy Ly, who was going to change his name to Ho Qui Ly in 1400. After Le Quy Ly ordered the killing of king Tran Thuan Ton, he could not hide his thirst for the throne. Tran Nguyen Hang and Tran Khat Chan staged a coup to get rid of him. The coup failed. Three hundred and seventy members of the Tran were executed except for those of Tran Nguyen Dan's family. Ngoc Bao was daughter of Nguyen Kim, marquis and general under the Later Le. In 1527 Mac Dang Dung came to the throne after forcing king Le Cung Hoang and the queen to take poison. Nguyen Kim fled to Thanh Hoa to recruit militias to fight the Mac to restore the Later Le. Trinh Kiem was a needy orphan earning his living by tending horses. He joined Nguyen Kim to restore the Later Le. The Le supporters lived in Laos. It was said that, one night, Nguyen Kim saw two red spots in the darkness. Approaching near the red spots he found out the red light came from Trinh Kiem's eyes while he was sleeping. Nguyen Kim did know that Trinh Kiem was an extraordinary man. Trinh Kiem was a gifted military commander. Nguyen Kim trusted him and married Ngoc Bao to him. It was a marriage between a lady from the nobility family and a needy orphan. We cannot compare this married couple to Chu Dong Tu and princess Tien Dung in their predestined union. I cannot say that the union between Ngoc Bao and Trinh Kiem was based on the concept of social equality in feudal society, either. Nguyen Kim used this marriage to buy Trinh Kiem's enthusiasm and loyalty. Later Lord Nguyen Phuc Anh followed Nguyen Kim's path when marrying his sister Ngoc Du to Vo Tanh. These marriages had the same political purpose. In 1545 Nguyen Kim was poisoned by Duong Chap Nhat, a defected general of the Mac, after eating a poisoned water melon. Trinh Kiem replaced Nguyen Kim to command the pro-Le army. We do not know for sure who was the true conspirator of this poisoning.We do not have any information about the fate of Duong Chap Nhat, either. Historic documents told us about Trinh Kiem killing Nguyen Uong, Nguyen Kim's son. Nguyen Hoang was very scared. He asked his sister Ngoc Bao to tell Trinh Kiem to allow him to cross the Hoanh Son Ranges to exploit lands- and to pay taxes to the Le. Trinh Kiem was the ancestor of Lords Trinh whose despotic regime lasted from the 16 th to the 18 th century. The lords were not kings but they were more powerful than the kings.They decided the enthronement, dethronement or killing of the kings of the Restored Le. Ngoc Tu was daughter of Nguyen Hoang or Lord Tien. Trinh Trang was son of Lord Trinh Tung. Trinh Tung was the first Lord of the Trinh after the Mac were expelled from Dong Do (Thang Long - Ha Noi) in 1593. He was son of Trinh Kiem and Ngoc Bao. Nguyen Hoang was his uncle. In order to dissipate Trinh Tung's suspicion on the fast growth and development of Dang Trong which became a new center of power in reality, Nguyen Hoang did not hesitate to marry his daughter Ngoc Tu to Trinh Trang, son of Trinh Tung. According to the family hierarchy, Ngoc Tu was Trinh Trang's aunt! Nguyen Hoang developed Dang Trong socially, economically and militarily in showing his submission to the Le and the Trinh. His flexibility derived from the military inferiority of Dang Trong to Dang Ngoai. After his death Lord Sai Nguyen Phuc Nguyen (1613- 1635) did not recognize suzerainty of the Le and the Trinh by refusing to pay taxes to Dang Ngoai. The Trinh - Nguyen war broke out in 1627.
a. Ngoc Van was daughter of Lord Sai Nguyen Phuc Nguyen, who was a lucid, firm, and capable leader whose popularity was undeniable. He placed Dao Duy Tu in an important position, contained the fierce attacks from the Trinh effectively, carried out territorial expansion to the South. Resort to political marriages was one of his plans of territorial expansion. Lord Sai married Ngoc Van to Chey Chetta II, king of Chenla (Cambodia) in 1620. Ngoc Van became queen Somdach Prea Peaccacyo - dey Preavoreac Ksattrey. Due to her influence the early Vietnamese settled in Mo Xoai, Ba Ria, in 1623.
b. Another daughter of Lord Sai, Ngoc Khoa, was married to Po-Rome (1627 - 1651), king of Champa. The latter was seduced by Ngoc Khoa's beauty and charms. His two Cham wives were jealous of Ngoc Khoa, who claimed to fall sick. All the royal physicians were reduced into inaction. Ngoc Khoa told king Po-Rome that she would get better if the king agreed to cut down the sacred tree (3). The king listened to her. On his orders, the sacred tree was cut down. Right after that Po-Rome was killed in the battlefield. Ngoc Khoa returned to Quang Tri. King Po- Rome married Ngoc Khoa in 1631, i.e. 4 years after the eruption of the civil war. Dao Duy Tu was originally from Thanh Hoa. Son of an actor he could not participate in the triennial contests to get promotion like the other students. He left Dang Ngoai for Dang Trong. He tended water buffaloes in Tung Chau hamlet, Hoai Nhan prefecture, Qui Nhon province. One day, coming home from the prairie with the water buffaloes, he heard his boss' friends speaking of politics. He stopped, listened to their arguments, and shared his opinions with them. Many of his boss' friends were displeased with his impoliteness for he was a needy herdsman. Some of them allowed him to express his opinions. His knowledge surprised his boss' friend. His boss Tran Duc Hoa was very proud of him. He married his daughter to him. On his recommendation Lord Sai offered Dao Duy Tu an important position. On Dao Duy Tu's initiative Lord Sai built the Dong Hoi and Truong Duc Ramparts. Dao Duy Tu died in 1634. He was granted the highest posthumous nobility title by king Minh Mang. Tran Duc Hoa was an intelligent man when choosing a good husband for his daughter. Lord Sai was lucid, democratic, effective and popular when placing the true talented man in the right place regardless of his social class. King Souligna Vongsa (1637 - 1694) of Laos married a Vietnamese princess, daughter of king Le Than Ton (1649 - 1662). Another Laotian king Ong Lo married the daughter of Lord Trinh Trang (1623 - 1657). These international and inter- racial marriages had their political earmarks. The Nguyen implemented territorial expansion to the South. The Trinh lost some mountainous villages to the Chinese in the North. They sought to gain some lands in the West. The international and inter-racial marriages helped them distinguish Vietnamese soil from Laotian soil through the shape of houses. Laos recognizes Vietnamese suzerainty and paid tribute every three years. In the 20 th century the leader of Pathet Lao, prince Souphanouvong, a half- brother of prince Phouma, leaned toward Ha Noi for his wife was a Nha Trang native. Ngoc Han was daughter of king Le Hien Ton (1740 - 1786). In 1786 Nguyen Hue and the Tay Son troops crossed the Gianh River to put an end to the shogunal regime headed by the Trinh in Bac Ha in two centuries. The young and invincible hero had an audience with king Le Hien Ton, who was seriously ill. He told the king that the presence of the Tay Son troops in Bac Ha. aimed at getting rid of the Trinh. Nguyen Hue promised not to touch either an inch of land of the Le or their kingship. King Le Hien Ton was happy to hear that promise. Nguyen Huu Chinh urged Nguyen Hue to marry princess Ngoc Han. The wedding ceremony took place in Thang Long. At that time Nguyen Hue was 34 years old. Princess Ngoc Han was only 16 years of age. The married couple reminds us of French emperor Napoleon I and Austrian princess Marie Louise. The beautiful princess got married to the young hero from the farming class in a remote hamlet of Qui Nhon province. It was a gift king Le Hien Ton gave to Nguyen Hue as a compensation for his military victory leading to the total collapse of the Trinh. This marriage seemed to be a political alliance between the Le and the Tay Son, who scared the supporters of the Trinh. Lord Nguyen Phuc Anh (future king Gia Long) followed the path of Nguyen Kim and Lord Sai Nguyen Phuc Nguyen when using political marriages to buy talented generals' loyalty. Ngoc Du was Nguyen Phuc Anh's younger sister. Vo Tanh was a peasant from Bien Hoa. He recruited militias to confront the Tay Son before he joined the Nguyen. Do Thanh Nha, Chau Van Tiep and Vo Tanh were Three Heroes of Gia Dinh (5) in the 18 th century. In 1780 Do Thanh Nhan was killed by Nguyen Phuc Anh, Vo Tanh's brother, Vo Nhan, left the Nguyen. Vo Tanh remained loyal to Nguyen Phuc Anh. He had many military exploits during the civil war between the Nguyen and the Tay Son. In 1801 the Tay Son under generals Tran Quang Dieu and Vo Van Dung re-captured the Qui Nhon citadel. Vo Tanh and Ngo Tung Chau killed themselves. Vu Van Nham was a general of the Nguyen captured by the Tay Son. Appreciating his military talents, Nguyen Nhac married his daughter to him to buy his loyalty. Vu Van Nham had no choice. Pleasing the leader of the Tay Son he had a beautiful wife, who became princess after Nguyen Nhac proclaimed himself king (Tay Son Vuong) in 1776. If he refused Nguyen Nhac's suggestions he would be imprisoned or executed. In 1778 Nguyen Nhac proclaimed himself emperor (emperor Thai Duc), Vu Van Nham became pho ma (son-in-law of the emperor). Nguyen Nhac and Nguyen Hue disagreed with each other after Nguyen Hue launched attacks on the Trinh in Bac Ha without Nguyen Nhac's orders. The fall of the shogunal regime in Bac Ha consolidated Nguyen Hue's prestige and reputation. Nguyen Hue was a hero in the battefields. He was also a hero in the heart of princess Ngoc Han. After the Tay Son troops left Bac Ha, the partisans of the Trinh re-appeared to re-establish the shogunal regime. King Le Hien Ton died. His successor was Le Chieu Thong, who was young and incapable. He asked Nguyen Huu Chinh to help the Le crush the partisans of the Trinh. Nguyen Huu Chinh was appointed governor of Nghe An by the Tay Son. King Le Hien Ton conceded Nghe An to the Tay Son as a compensation for their victory over the Trinh. Nguyen Huu Chinh defeated Trinh Bong. It was his turn to eclipse king Le Chieu Thong. He carried out his kingly dream. The Northerners hated him. His stern policies made him more unpopular in Bac Ha. Nguyen Hue sent general Vu Van Nham to Bac Ha to get rid of Nguyen Huu Chinh. This nomination aimed at knowing Vu Van Nham's political ambitions after defeating Nguyen Huu Chinh in Bac Ha. Would he be a vice-roy in Bac Ha like Nguyen Huu Chinh? Would he be loyal to Nguyen Nhac? Would he turn to the Nguyen in the South? In fact, there was no difference between Nguyen Huu Chinh and Vu Van Nham, who tried to establish secret connections with the Nguyen. Nguyen Hue and his body guards left Phu Xuan for Bac Ha. Vu Van Nham was killed. In 1775 the Trinh captured Phu Xuan. Lord Dinh Vuong Nguyen Phuc Thuan fled to Quang Nam. Pressured by the Tay Son he fled to the Dong Nai River delta. Prince Duong (Nguyen Phuc Duong) was left in Quang Nam where he was detained by the Tay Son. Nguyen Nhac wished to use him as a political chess to clarify the good cause of his revolt aiming at overthrowing regent Truong Phuc Loan without touching the Nguyen. An intelligent man Nguyen Nhac realized that the people in Nam Ha paid gratitude and respect to the Nguyen. Nguyen Nhac turned prince Duong into his son-in-law to show that he sided prince Duong to fight cruel and corrupt regent Truong Phuc Loan, who changed Lord Vo Vuong Nguyen Phuc Khoat's testament by supporting Nguyen Phuc Thuan, 11, to take power. I was no doubt that prince Duong was unhappy with the ‘political'spouse offered by Nguyen Nhac, who, in his eyes, had been a tax collector and a gambler. In 1776 prince Duong and Ly Tai, a Chinese playing an important role in the revolt of 1771, fled to Gia Dinh. The next year all the members of Lord Dinh Vuong's family were massacred in Long Xuyen except for Nguyen Phuc Anh. Prince Duong was killed (5). Nguyen Huynh Duc born Huynh Tuong Duc was a famous general of the Nguyen during the civil war. He was loyal to Lord Nguyen Phuc Anh. Therefore he was trusted by the latter, who allowed him to change his last name to Nguyen. He used Huynh as his middle name to remind himself of his initial last name. King Gia Long trusted Nguyen Huynh Duc, who received the highest nobility title, and held important positions. All of his four sons were important persons under the Nguyen. Two of them were pho ma (sons-in-law of king Gia Long). Nguyen Huynh Toan married princess Thai Binh Ngoc Chau (7). Nguyen Huynh Thanh married princess Dinh Hoa Ngoc Co.
Bao Dai was the first king of the Nguyen educated by the French in France. He studied in France from 1922 to 1932. In 1922 he was 9 years of age. Returning to Hue by boat he met Marie Therese Nguyen Huu Hao, a beautiful, charming, virtuous and French-educated lady born into a Catholic, wealthy, and naturalise family. Her grand father was Philippe Le Phat Dat (huyen Si), one of the four wealthiest men in Cochinchina in the late 19 th century and the early 20th century. The French wished Bao Dai to marry Marie Therese Nguyen Huu Hao. Such a marriage would help Bao Dai change his ancestors' political view towards France and the Catholic Church. His predecessors were Francophobe and anti-Catholic. Unlike them, Bao Dai did not hate either the French or the Catholic Church for he was educated in France under the guidance of Mr. Charles, a former official of the French colonial government in Indochina. Bao Dai went farther when he did not observe the tam bat lap principle (three non-creations principle) (8) promoted by king Gia Long. From 1885 to 1945 all the Vietnamese kings were powerless. In the eyes of the French government, king Bao Dai was only a high ranking civil servant with generous pay and benefits. King Bao Dai was not baptized to marry Marie Therese Nguyen Huu Hao or Nguyen Huu Thi Lan. He was before his death in Paris in 1997. 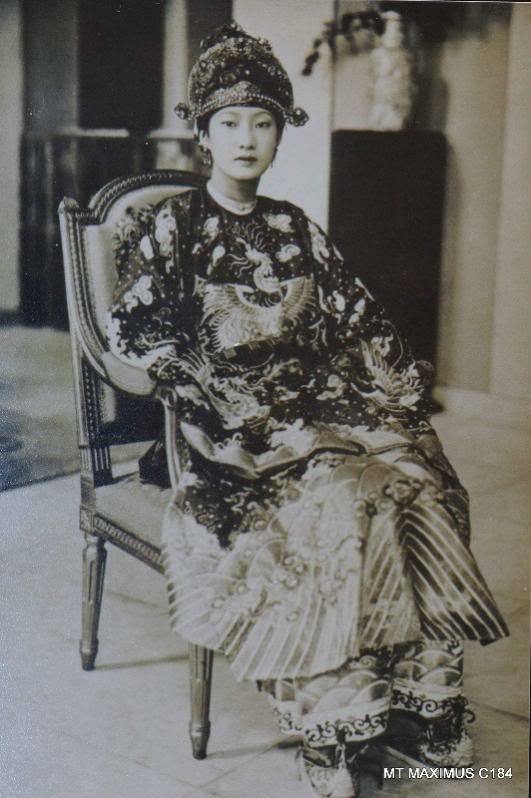 Marie Therese Nguyen Huu Hao became Queen Nam Phuong. In 1945 king Bao Dai appointed Tran Trong Kim prime minister. In 1949 Bao Dai returned to Vietnam to lead the national government as chief of state and prime minister. In the 1950s he appointed Nguyen Phan Long, Tran Van Huu, Nguyen Van Tam, Buu Loc, Ngo Dinh Diem prime ministers of the national government. In 1955 he was deposed by prime minister Ngo Dinh Diem in a referendum. (1) In Bac Ninh province. (2) "huyền" means ‘black'. People linked this word (huyền: black; ebony) to Huyền Trân's complexion. This argument was not solid. The king of Champa could not concede the O and Ri districts to Dai Viet to marry a black princess. (3) The Vietnamese call this sacred tree ‘cây cǎm xe'. Its scientific name is Xylia dolabrigormis. The bark of this tree is used to prepare hemoptysis medicine. (4) In the second half of the 17 th century Champa was present Southern Trung Bo. This region was called Panduranga consisting of Phan Rang, Phan Ri, Phan Thiet. The three 'Phan ' are the most arid area in Vietnam. (5) Ly Tai was a Chinese, who had active contributions to the Tay Son. In 1776 Ly Tai and prince Nguyen Phuc Duong fled to Gia Dinh. Do Thanh Nhan disliked Ly Tai, who asked Lord Dinh Vuong Nguyen Phuc Thuan to resign to be replaced by prince Nguyen Phuc Duong. In 1777 Do Thanh Nhan killed Ly Tai in Tam Phu, Dinh Tuong province. Lord Dinh Vuong and all the members of his family were massacred by the Tay Son in Long Xuyen in 1777. Only Nguyen Phuc Anh survived. Would Do Thanh Nhan kill Ly Tai and prince Duong? Was it the reason why Nguyen Phuc Anh killed Do Thanh Nhan? (6) Nguyen Huynh Toan, Nguyen Huynh Thanh, Nguyen Huynh Nhien, and Nguyen Huynh Thoa. (7) Princesses of Lords and Kings Nguyen had ‘Ngoc' as their middle names. (8) Tam Bat Lap (Three Non- Creations Principle): 1. No ‘trang nguyen ' (1 st - ranked laureate of the doctoral contest) 2. No queen 3. No chancellor. Cái Đình - 2008 .